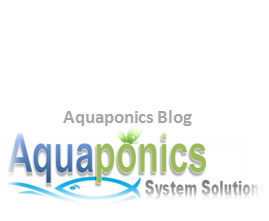 One of the main reasons why people get hooked on to aquaponics is the fact that it needs minimal maintenance compared to conventional ways of agriculture. Nevertheless, there are some routine chores that one should do in order to ensure a continuously flourishing aquaponics system.Today I have outlined some of these chores to maintaining your aquaponics system and of course as aquaponics goes, they are simple to do and require minimal time to perform. I would do this every day when I’m feeding the fish. Observe your fish’s behavior when you sprinkle feeds into the fish tank. 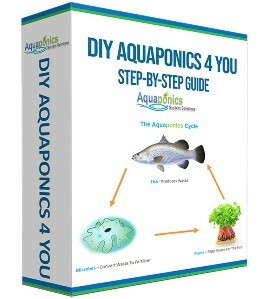 Now, the reaction is subjective to the species you have for aquaponics fish. But if you have been observing them regularly you would know if some thing is not right. I guess the right thing to say here is to be aware of any abnormalities from the norm. The way they or any particular fish swim to the food, or do not swim to feed. Fish’s swimming behavior tells a lot and you will know that if you have been observing them enough. Also, look for physical signs of sickness as well, white spots on the body and fins for example. You can “google” on this to find out more. But again, the tell-tale sign is always in the way your fish swims. So, do pay attention to that. Check your fish tank general condition on a regular basis. If your fish tank level drops more regularly than usual, that could be a sign of leak somewhere. 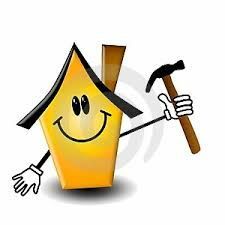 Trace it and have it repaired where possible. Another thing to look out for here is algae in your fish tank. 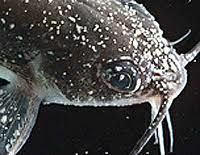 It’s advisable to remove algae immediately from your fish tank as soon as you see trace of it. One of the biggest damages they have is on lowering the oxygen level in your system with the potential of starving your plants and fish. It is always a good practice to check your aquaponics system’s water chemistry once a week, though I must admit I am guilty of not doing that regularly enough myself. Anyway, I say this because nitrite, ammonia, nitrate and ph levels are the four water main chemistry parameters that will determine the health of your fish and plants. Too high in anyone of them could kill your fish and too low on nitrate would render your plants weak and stunted. Nitrate – 20 to 40 ppm is fine (but then again this is subjective to the fish species you have chosen). Observation comes to play here again. Observe your plants regularly, really this goes a long way in understanding how well your system is doing. If your plants are growing and flourishing endlessly with healthy greens, that means your aquaponics system is well balanced and healthy. If on the other hand your plants takes a long time grow and are skinny and yellowish, well you know unhealthy looking, that means it’s time to check your water chemistry. Probably your nitrate level is too low and you need to feed your fish more or more regularly. 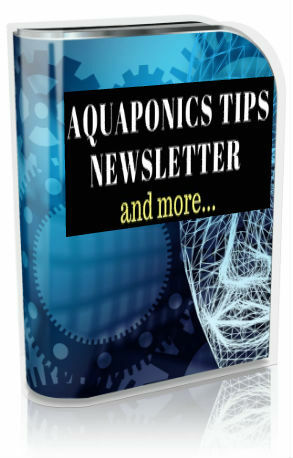 Or your system may be running low on iron, potassium or magnesium or a combination of them which is quite common in aquaponics systems. Also check regularly for insects and parasites. Caterpillars and “whiteflies” are common enemies to aquaponics plants as well. Early detection would save you loads of trouble and losses here. Your main source of water circulation from the fish tank to the growbed is your water pump and the plumbing connections. If any of these give away, you will have a damaged system if not attended to promptly. All the above points are easy to do daily in fact. I do it when I feed my fish. That’s when I observe the fish. How they swim, eat and how they move around. I would at the same time take a look at the rest of the points above for any abnormalities and take corrective actions accordingly. 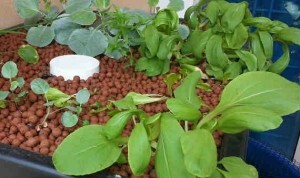 It has become a habit for me and if you can do this daily during feeding time, is all you need to do in maintaining your aquaponics system.